Gardner Grant’s J/120 Alibi (Westport, CT), and Jason Richter’s J/35 Paladin (Mt. Sinai, NY) as well as Richard du Moulin’s Express 37 Lora Ann (Larchmont, NY). George Sakellaris’ R/P 72 Shockwave (Framingham, MA) and Hap Fauth’s J/V 72 Bella Mente (Minneapolis, MN) are expected to duel across the Gulf Stream again for first to finish honors. In 2012, these Mini Maxis sailed within sight of each other down the 635-mile course and broke the elapsed time record. Shockwave won the Gibbs Hill Lighthouse Trophy and the North Rock Beacon Trophy as the top boat under the IRC Rule. Returning in the 95-boat St. David’s Lighthouse Division are Rives Potts’s 2010 and 2012 division winner Carina (Westbrook, CT) and two classic wooden yawls, Black Watch and Dorade. A popular returning boat is Peter Rebovich’s Cal 40 Sinn Fein (Perth Amboy, NJ; 2006 and 2008 St. David’s winner), whose crew worked for over a year to bring her back from near-destruction in Superstorm Sandy. Spirit of Bermuda, an 86-foot replica of a traditional Bermuda trading vessel, will return. Again, these entries may change by the race start. Several new prizes are in competition this year. One of them is for the top-finishing boat in the Cruiser Division that has just four crewmembers. New awards will be presented to the top boats hailing from five regions: Canada, the Great Lakes, the Pacific Coast, the Deep South, and the Chesapeake. 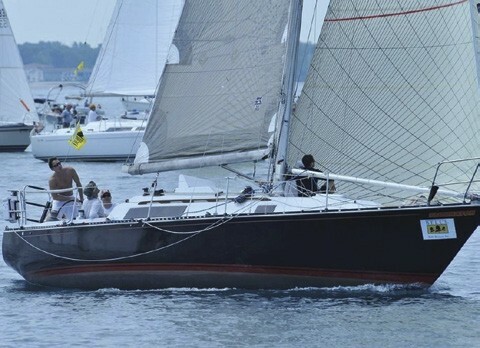 The Onion Patch Series for three-boat teams is introducing the Navigators Race Series, which includes the Bermuda Race, a race in the Royal Bermuda Yacht Club’s Anniversary Regatta on June 27, and two races in the New York Yacht Club Annual Regatta on June 14-15. And a trophy will be awarded in 2014 for best combined finishes in the Annapolis-Newport and Newport Bermuda races. The Newport Bermuda Race now has joint trophies with all three odd-year East Coast races, MarionBermuda, Marblehead-Halifax, and Annapolis-Newport. A pre-race Safety at Sea Seminar will be held in Newport on June 18, from 8 am to 5 pm, at the Community College of Rhode Island Auditorium in Newport. Sponsored by the Cruising Club of America, the seminar will be moderated by Ron Trossbach and is sanctioned by US Sailing. 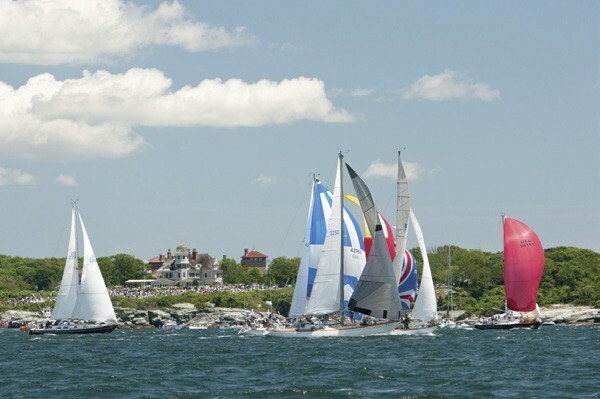 Attendance satisfies requirements of the Newport Bermuda Race and most other nearshore and ocean races originating in the U.S. Register at sascruisingclub.org. Anyone who wants to watch the Newport Bermuda Race start on June 20 should know what options there are for enjoying the spectacular sight. Because the race start is close to land, many if not most spectators gather at shoreside public areas such as the Castle Hill Inn, Brenton Point and Beaver Tail (near Jamestown). A fee may be charged. Spectator boats may watch the start, which will be guarded by limit buoys and tightly patrolled. The water will be crowded an d rough, so small boats such as kayaks and canoes are strongly discouraged. Charter boats offering day trips are numerous. Many are listed at discovernewport.org/recreation/boating-and-sailing/chartersand-excursions. And you can follow the racers on the race website on YellowBrick Tracking. 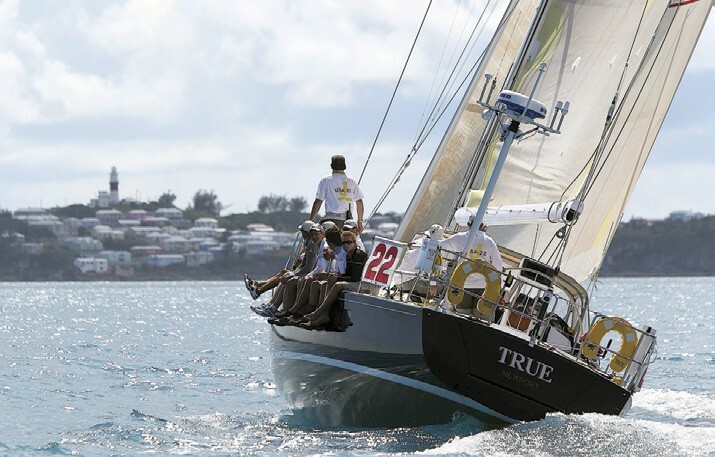 For more information about the Newport Bermuda Race, visit BermudaRace.com. When the prestigious Newport Bermuda Race kicks off on June 20, there will be some “Davids” among the “Goliaths.” One of the smallest boats expected in this year’s fleet will have come a long way to participate in what many consider to be the top East Coast offshore event. Not only is she a candidate for the boat from furthest away, she’s also among the oldest designs in the race: a C&C 35 Mk II built in 1974. You can almost see the smug smiles from some of the other hotshot crews, but before putting these guys in the “bucket list” category, you’d be wise to do your homework and see what Eliminator is all about! Owners Paul Van Tol and Bruce Vande Vusse of Detroit, MI, who will be the watch captains, have each completed 28 or more Bayview Mackinac Races, all on Eliminator, finishing first in class in twelve of those! Eliminator will be skippered by Paul’s son, match racing skipper Chris Van Tol, who has sailed since age 13. Nav duties will fall to Michael Hoey a successful Melges 24 skipper himself, also with match racing and big boat experience. hard way, crew continuity is one of the top factors in a winning program. Except for the owners, the crew went to school together and sailed in the local junior programs. Now in their thirties, many have moved away. Greg Vasse, who now lives in Wilton, CT, will be the all-important electronics guy. Individually and as a crew, this team has to be rated near the top! The boat is being trucked in to a local Brewer yard for final preps. So, when the many talented repeat entries in the Saint David’s Lighthouse Division Class 1 look around and see a C&C 35 Mk II and ask, “Who the heck are these guys?” they can be assured it’s a force to be reckoned with!